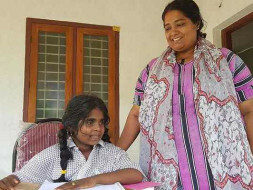 At their home in Kollam in Kerala, Haleema N - who has missed her school again - says she is very tired after her last dialysis. Nabeesath, who tries to feed her lunch, is worried about the future. Doctors have told her that Haleema needs a renal transplant for survival. For the last three months, 45-year-old Nabeesath E has been travelling 120 kilometres by bus, twice every week, to ensure her daughter Haleema N does not miss her dialysis. 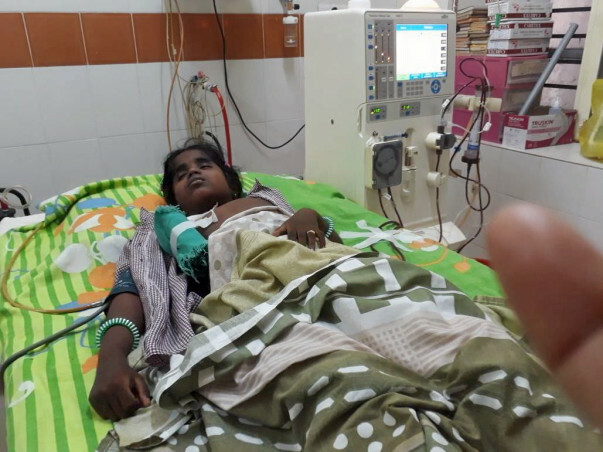 She has been told by doctors that the hemodialysis for her nine-year-old daughter needs to be increased to thrice a week, as both her kidneys have been critically affected. Haleema was diagnosed with the rare Nephrotic Syndrome in 2013 and is also visually impaired. "My husband and I, both are diabetic. We are medically unfit to give her our kidneys. Our relatives have distanced themselves from us. I have no money to pay anyone in exchange for a kidney. I just wish someone will come ahead and donate an O+ve kidney for my daughter. There is no other way," Nabeesath says. 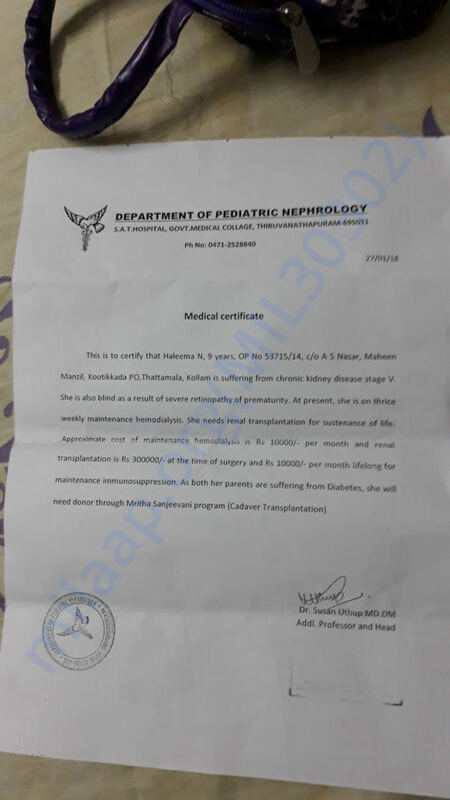 The medical documents, prescribed by a government hospital doctor who has been treating Haleema, read, "She needs renal transplantation for sustenance of life. Approximate cost for maintenance hemodialysis is rupees 10, 000 per month and renal transplantation is Rs. 300,000 at the time of surgery and 10,000 per month, lifelong for maintenance immunosuppression." Haleema's father is a daily wager, while her mother is a homemaker, devoted to meeting the needs of her daughter. "I need to take her to school. I need to take her to the hospital. My husband offers to come along with me, but then I refuse, thinking we could save that hundred rupees. We have no money," Nabeesath says. Haleema has been enrolled with the state organ sharing registry but parents say chances are slim due to the already long list of people waiting since years. "I got my daughter after many prayers. She was born after three of my children died. I don't want to give up on her. If I give up, Haleema will give up too," Nabeesath says. As Haleema sings in the background, Nabeesath tells us her daughter dreams to become a music teacher. Haleema underwent a successful kidney transplant. Haleema and her mother have moved to a place close by to the hospital for follow up visits and to protect Haleema from infections, due to travel from their town to the hospital by public transport. The hospital discharge summary is attached in the story. By God's grace Haleema found a kidney donor, and underwent a successful kidney transplant on December 01, 2018. She is presently under the post operative care after the transplant. Her test results after the transplant are still fluctuating. Haleema and her mother are temporarily residing closer to the hospital, which helps them in making the follow-up visits to the hospital, and also protects her from infections (if she had to travel from her place to the city). Wish to thank you all for your donation and prayers. All of us can feel happy and satisfied that we were part of an effort, which has helped a poor blind girl, in a remote place in India, get a kidney transplant. Request you all to pray for her recovery. Haleema is continuing with her Dialysis, since they are still looking out for a kidney donor. It is quite difficult to find kidney donors, since there are several patients who are in the waiting list. The parents aren't able to donate, since they are suffering from ailments. In the meantime, the contributions provided by all of you is helping her to continue with the dialysis. All of you can be happy and content that you are helping a family in a distant part of this world, in facing up to their challenges.